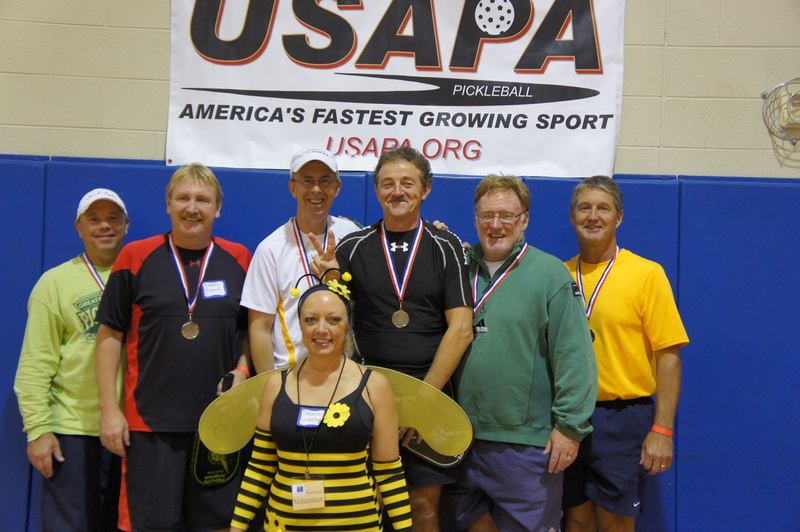 From our small piece of heaven down in Southeastern Indiana, we generally have to drive the miles to play in good pickleball tournaments. This weekend we certainly found a good one in Harland, Michigan. This is a personal message to the pickleball players and tournament volunteers in Michigan. I just want to put in my two cents from an “outsider”. I told this to Hartland tournament director Deborah, in person yesterday and I will tell you all here publicly. Michigan has something very special going on and you all are a big part of it. We traveled five hours each time to four different Michigan tournaments this spring/summer/fall (Kalamazoo, Royal Oaks, Kalamazoo again and Hartland). We chose to drive the miles because each and every time we are delighted at the quality of the tournaments and the friendliness of the people running them. We are always welcomed with open arms (sometimes open wings) and we always leave wanting to come back. The number of sponsors that you always have and the growing numbers of players you are drawing is just further proof that you guys and gals are doing things right. You are a perfect model for other states to follow. Keep up the great work! We hope that the things we are doing down here in our little town of Brookville will eventually rub off on, and ignite the Cincinnati area. There is so much potential there. Anyhow, thanks again for all you are doing in the great state of Michigan to set the example.